We carry products from over 300 Maine-based producers as well has a host of well-loved national brands. The majority of our produce items come from right here in Maine.. We make a point to support our local farmers and we carry what is fresh and in season right now. We also carry a large selection of warmer climate items such as bananas, avocados and citrus. We are incredibly proud of our dairy selection, which has products, including raw milk, from over a dozen local farmers. Lots of local farms are represented in our egg and meat sections as well. Vegan? Gluten-free? We’ve got it all. From meat alternatives to cashew ice cream to local gluten-free bread, you’ll find lots of delicious options. Our bulk section is a robust mix of over 100 varieties of dried goods including beans, legumes, nuts, seeds, cereals, flours, fruit, sweets, and coffee. When it comes to cooking and steeping, we have a plethora of choices available in both packaged and bulk forms. Just popping in for some lunch? We’ve got you covered. Our deli team makes the finest snacks, salads, soups, and sandwiches in town. Grab a cup of joe on the go and enjoy a pastry from a selection of your favorite local bakeries. We also have kombucha on tap! We have a great cafe area for eating, chatting, and computering on free Wi-Fi. 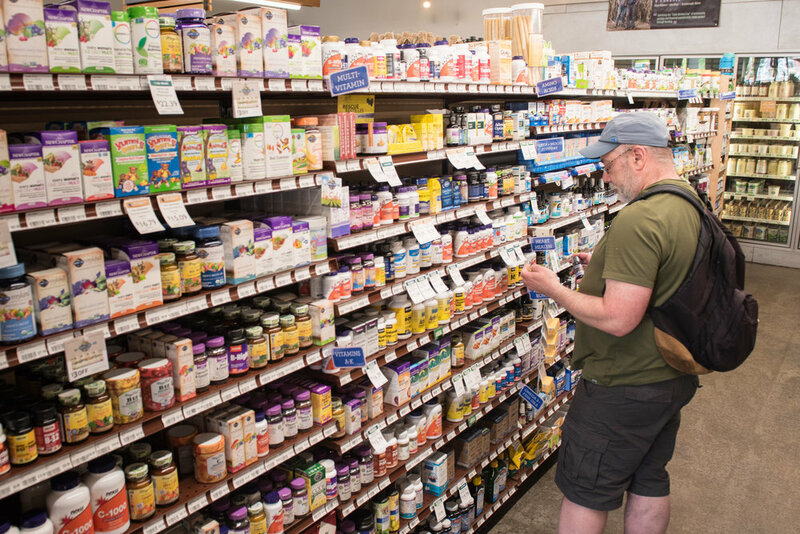 We have a large selection of vitamins, supplements, protein powders, homeopathic remedies, tinctures, and more! We recognize that what you put on your body is as important as what you put in it. That’s why we have so many lovely choices when it comes to shampoo, conditioner, lotion, soap, toothpaste, essential oils, and all of your self-care needs. We carry beer and cider from over 20 local producers. We also have a wonderful selection of wine and cheese. Keep your living space as clean as your diet with our sweet selection of cleaning and paper products. Have a product-related question? Give us a call at (207) 805-1599 or email one of our department contacts. You can also read our purchasing policy here.